It’s not unusual for homeowners to have plenty of questions for Orlando roofers. Roof repairs and replacements aren’t everyday occurrences since roofs last for decades. 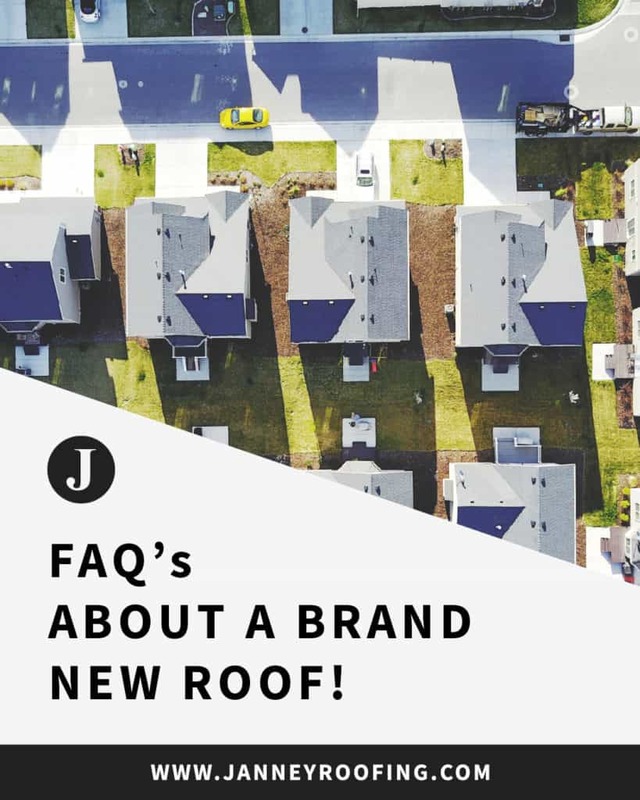 Janney Roofing has put together helpful answers to the questions we encounter most frequently from homeowners looking for help from Orlando roofing companies. What are the indicators of a roof problem? Roof leaks into the attic or leaking ceilings. Curling shingles or bare or thinning spots on asphalt shingles. Asphalt shingles normally have a normal lifespan between 15 and 25 years. Their granules gradually wear off, the shingles can crack or rip, or they’ll start to curl. Concrete tile roofs have a lifetime that often exceeds 50 years, but they can crack and break if they’re walked on. The weatherproof sheathing beneath the tiles may rot, rip or tear, and water can seep into the roof deck, which causes rot or roof leaks. Can my roof be repaired instead? The professionals at Janney Roofing investigate the condition of each roof individually, and if it’s possible to repair or replace the damaged portion of a roof, we will. Orlando roofers must meet the stringent Florida Building Code of 2002 when replacing a roof. This code was updated to address hurricane-force winds and homes built or reroofed before 2002 must be brought up to the code. Although this adds to the cost, it helps ensure your roof will withstand the strong winds and gusts associated with severe weather. Since the roof provides structural integrity and weatherproofing for your home, it’s not a place to skimp on repair or replacement costs when replacing your roof. The quality of materials and workmanship impact the durability of the roof for decades to come. While it’s good to shop around among licensed roofers in Orlando, the price shouldn’t be the sole determinant. When Janney Roofing undertakes a roofing repair or re-roofing project, we work with your schedule. Weather always plays a factor, as does the permitting and inspection process. We will always do our best to stay within the original time frame. Jenney Roofing teams take great care to keep your yard and swimming pool clean and debris-free. Reroofing or repair is a noisy job and we will take utmost care to protect your family’s privacy and enjoyment of the home as much as possible. Some pets may find the process upsetting, and you may want to confine your pets to a comfortable room or elsewhere as we work. Roofing is a challenging and complicated job best left to the pros. When you’re looking for trusted Orlando roofers, give Janney Roofing a call. We’re family-owned and operated and are proud to serve the area.